The Cherokee tell that the plants, animals and humans were created to exist in harmony, freely giving of themselves to the better of the whole. When humans started multiplying, we started to take advantage of the plant and animal. The animals were angry and decided that if we did not give thanks for the flesh that they took from the animals, we would be cursed with disease. The plants decided to have compassion for humans, even as we killed them, trampled them, and took advantage of their offerings. The plants decided to create a cure for each disease that the animals created, to give us a chance to learn how to coexist with them once again. In our fast-paced world, there aren’t very many things that tie us to our ancestors. Plant medicine is one of those things. When catastrophe strikes, we might not have access to doctors or our pharmaceutical drugs, but we will probably still have roadside weeds. It’s important to know what those weeds can do for you and your loved ones. 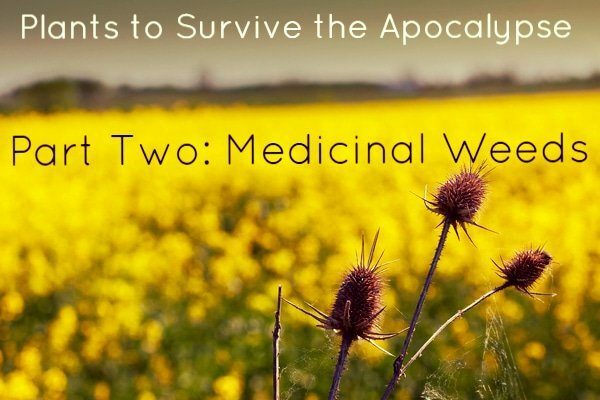 This article is part of our series on ‘Plants to Survive the Apocalypse.' Of course, you don’t have to wait until disaster strikes to learn what’s what in the plant world. This series of articles is meant to give you inspiration and information about how to use the plants that grow in the wild. Make sure you know what plant you’re using. The only way to be 100% sure is when a plant is flowering. I cannot stress this one enough because you can get yourself into serious trouble if you use something you aren’t 100% sure about. Or you can spend time and energy making medicine that just isn’t great for you. Know what part of a plant to use and what stage to use them in. Different parts can have different actions (dandelion is an example) and some plants work better fresh or dry. If the plant looks sick, don’t make medicine from it. A plant can’t heal you if it can’t heal itself. If the plant is growing next to something dangerous, don’t make medicine from it. A plant growing next to something dangerous, like poison hemlock or a busy road, might have something toxic coursing through its veins. The worst case scenario is that the plant that you’re using to heal you actually makes you a lot sicker, or even kills you because of what was growing around it. Choose a medium for your medicine. There are a lot of options here! You can eat it, or make a poultice, tea, honey, tincture, oil, or a combination of many things. Medicinal plants (all plants, really) have a lot of constituents (just a fancy way of saying chemical components) that work together to create that specific species. Different mediums pull out different types of constituents better than others, so it's important to know what you’re looking to get out of a plant, and what medium to use to get the best results. Ask permission and learn to listen. It’s my belief (and experience) that if you’re using something to heal yourself, you should ask permission to use it. I sit down with my plants and listen for their communication. I know this might sound difficult, but the more you work on listening to the subtle voices of the plant folk, the better at it you will be. When a plant tells me no, and sometimes they do, I listen to that. A plant that doesn’t want to be my medicine probably won’t be as healing as a plant that offers itself to me. This friend was on our first installment of the survival series about edible plants. I’m a huge fan of daily dandelion-ing for food and for medicine. Dandelion root is great for liver stagnation and it’s really cleansing for blood. The leaf is more of a diuretic and helps to strengthen the kidneys. Dandelion (both root and leaf) is also a wonderful bitter herb, so it helps the digestive system function, too. Our body has five elimination systems and dandelion directly affects three, so it makes for a really wonderful addition to your diet. How to Use it: I like to tincture the whole plant in one go. You can do this fresh or dried. Cleavers helps your lymph system stay clean and active and give you a good boost of minerals. Once you officially meet this friend, you’ll see him all over the place. How to Use it: Use cleavers fresh. They work well in a tea (clips leaves then steep immediately), tincture, or even as a pesto! 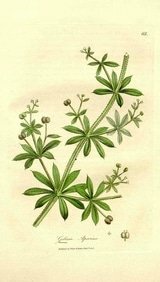 Dried cleavers don’t make great medicine, but used fresh they are wonderfully nourishing and uplifting to your spirit. I infuse cleavers into the oil for my homemade deodorant because it’s so good for the lymph. Infusing fresh plants into oil can cause issues with mold, so make sure to keep it in the fridge. When the apocalypse comes, you’ll want to know this one. Burdock (also known as gobo if you shop for herbs at an Asian grocery) is an amazing weedy friend. Burdock root is another herb that is seemingly good for everything. Burdock is an adaptogenic herb that nurtures our blood (and thus nurtures all of the organs in our body). Also a bitter herb, it protects and strengthens the liver, kidneys, and lungs. 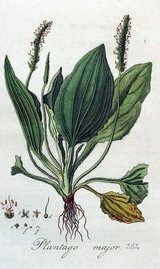 How to Use: The whole plant is edible, but the root is what is typically used because the leaves get pretty bitter as they age. No, not the banana-like fruit—I’m talking about plantago major. You’ve probably pulled her from the cracks in your sidewalk. Or maybe as a kid you pulled the flower stalk out and chewed on the end? Yep, that’s who I’m talking about. This friend is actually amazing for your body. It’s alterative, meaning it helps your body move toward homeostasis. It can be used internally as well as topically to help draw impurities out of the body. How to Use: I like to use this guy topically for bug bites and spots that need soothing. Chew it up and put it right on the spot that needs a little love or infuse it into oil and make a salve with it. I can’t talk about medicinal roadside weeds without talking about sage. If I’m sick, tired, hurt, overwhelmed, stressed out, or uncomfortable in any way, you can bet that I’m going to go to sage as part of my remedy. You probably know it as a smudge plant, which modern science just proved to be effective at cleansing. How to Use: There are a lot of different plants that are called “sage” around the world, and most of them are effective to use as a smudge for the air, spice for food, tincture or a tea, or a delicious vinegar. This is another plant that you have probably seen all over the place but had no idea how useful it is! Oats are really nourishing for the body and can be used for all sorts of nervous-type issues. They are great for depression, anxiety, insomnia, and health issues related to stress. 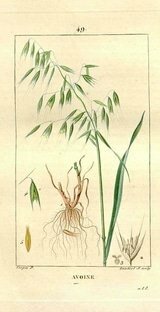 Oats have a pretty specific time for collection—you’ll often hear the term “milky oats.” In spring and early summer the oats will be green and full of a ‘milky’ substance. You can test one or two in the field by squeezing them and if you see the milky substance, collect the lot for your medicine. How to Use: I suggest tincturing it right away for the best internal medicine. All of these plant friends are naturalized all over North America, if not the whole world. I would suggest that you get yourself a good field guide for your area and learn about the herbs that are growing in your area. Do you have a favorite medicinal weed? Let us know in the comments below! Since the FDA seems more & more determined to limit supplements and nutrients in general, If Codex ever gets instituted in the US, these weeds may become life savers. I had the thought that dandelion would be very hard for them to get rid of! Maybe the rest are in that category.